The column archives on my website is divided into four categories, the largest of which is Wall Street Fraud. I have written extensively about the nefarious conduct that is perpetrated all too often at the expense of the American investor. Our goal is ultimately to educate and warn people of whom they are dealing with and the reality is much different then the glossy brochures, fancy offices, golf outings and Madison Avenue advertising campaigns portray. After all of these years, my frustration is starting to get the best of me. Not with the big firms but with American investors. Like in the classic tale the Scorpion in the Frog, the American investor does business with the Scorpion, gets stung and dies. However, unlike the tale the Scorpion does not drown and die, he just keeps coming back. It’s time for the frogs to wake up and start taking on a little personal responsibility. After reading this column, if you procrastinate on moving your account away from one or more of thetoo-big-to-fail firms…I have no sympathy. It’s your own damn fault. Five of the world’s largest banks have agreed to pay more than $5 billion in penalties and will plead guilty to criminal charges to settle an investigation into whether the traders colluded to move foreign currency rates to benefit their own positions while sticking it to their clients. J.P. Morgan Chase, Barclays, Royal Bank of Scotland and Citigroup were involved in that settlement. UBS will also plead guilty and pay $545 million and Bank of America Merrill Lynch will pay $205 million in separate settlements. This is on top of the $4.3 billion the same banks paid back in November for the same crimes. The euro dollar traders at the firms were self-described members of “The Cartel.” They would communicate through a coded language in an online chat room to coordinate attempts to move rates set at 1:15 and 4:00 p.m.
A little perspective on the size of the FOREX/LIBOR market, it is $5 trillion a day. A little more perspective on their so-called punishment and felonious behavior, nobody will be criminally prosecuted or punished. When I mean nobody, I mean nobody that is actually breathing. The guilty parties in this case are the firms. How can a firm be guilty of anything? Can a fork be guilty in making someone over-weight?Firms are nothing more than logos and tax-id numbers. If we were living in a world where we were actually equal under the law, the guilty firms, due to the conduct of their people would have been barred by regulators from managing mutual funds, corporate pension plans and many other money management activities and those employees responsible would be doing time. However, we live in a too-big-to-fail world! So…they allwill pay nice size fines that the government can turn around and spend on whatever pork-barrel project they want.Plus, they will all continue to be big and loyal contributors to the establishment politicians on the left and right. Too-big-to-fail translates to off the hook. Pillage on!In this case, the Securities and Exchange Commission actually granted them a special waiver (a get out of jail free card) that will allow them to conduct business as usual. Since when did any of these firms have any values or interests outside their own? Corbat also pointed out that they fired nine traders. So did the other firms. Translation: Fired Citi traders go to Barclays and vice-versa. I respectfully dissent from the Commission’s Order. The Order grants Deutsche Bank a waiver from ineligible issuer status triggered by a criminal conviction for manipulating the LIBOR, a global financial benchmark. This waiver will allow Deutsche Bank to maintain its well-known seasoned issuer status (WKSI), which would have been automatically revoked as a result of its criminal misconduct absent a Commission waiver. With these WKSI advantages comes a modicum of responsibility. WKSI’s must meet the very low hurdle of not being ineligible. This means that among other things, they have not been convicted of certain felonies or misdemeanors within the past three years. In granting this waiver the Commission continues to erode even the lowest of hurdles for large companies, while small and mid-sized businesses appear to face different treatment. Deutsche Bank’s illegal conduct involved nearly a decade of lying, cheating and stealing. The criminal conduct was pervasive and widespread, involving dozens of employees from Deutsche Bank offices including New York, Frankfurt, Tokyo, and London. Deutsche Bank’s traders engaged in a brazen scheme to defraud Deutsche Bank’s counterparties (CLIENTS!) and the worldwide financial marketplace by secretly manipulating LIBOR. The conduct is appalling. It was a complete criminal fraud upon the worldwide marketplace. The same sentiments could be said about all of the firms involved. JPMorgan hopes that nobody notices how far away they are from relative suitability. In fact, the entire JPMorgan private banker model is to shovel as much JPMorgan product down client’s throats as they possibly can. Mutual funds, mortgages, trust services, credit cards, etc. are all a part of the dog and pony show when you become a client of the JPM private bank. The overt attempt to stamp JPMorgan product all over a client’s portfolio is so far beyond any discussion of fiduciary duty” that it would make you laugh if you could stop crying. The radio program “This American Life”uncovered and aired portions of 46 hours of recordings made secretly by a Federal Reserve employee of discussions made within the Fed with Goldman Sachs. 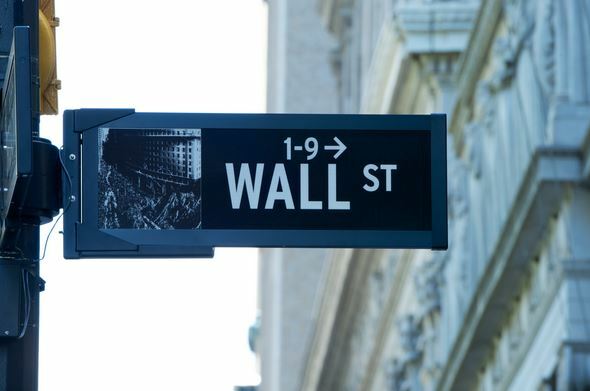 During the 2008 financial crisis, the New York Fed decided to study itself and why they were unable to not see what was as plain as day to anybody who chose to look, which was the terribly destructive conduct inside the big banks. What they produced was a document that stated that the Fed failed to spot the problems and effectively regulate the banks because it did not encourage its employees to ask questions or feel free to speak up when they saw a problem. The Fed actually encourages its employees to keep their mouths shut, don’t ask any questions, and do everything you can to make the big banks happy. In the tapes there is a whistleblower named Carmen Segarra. She is an employee at the Fed. Carmen speaks four languages, holds degrees from Harvard, Cornell and Columbia and before working at the Fed worked in the legal and compliance departments at several big banks. Carmen was asked by her boss to change a report that she put out in regards to Goldman Sachs. She wrote that Goldman does not have a conflict of interest policy. The chief supervisor at Goldman tried to convince her to recant her opinion. Carmen refused. Carmen was fired. If you listen to the tapes you realize that this was far from an isolated incident. From altering minutes of meetings to denying what had been said drove Carmen to be a bit industrious. She went to a Spy store and purchased a tiny recorder and started recording her meetings at Goldman Sachs. One of favorite writers Michael Lewis called the Segarra tapes the Ray Rice video for Wall Street, in that it verifies what you already know. The difference is that next to nobody covered this story. The big firms reached back to their 1990’s bag of tricks with their handling of the Toy’s ‘R’ Us IPO. The Financial Industry Regulatory Authority fined ten firms a total of $43.5 million for pretending to think Toys ‘R’ Us was a super-awesome investment for their clients. Their assessment had absolutely nothing to do with making money for their clients, but rather to secure positions as underwriters for the company and make buckets of money for themselves. Correct me if I am wrong, but didn’t Eliot Spitzer tell us that this type of fraud would never happen again? If you or so inclined go back and read my assessment of Spitzer’s ridiculous global settlement and how nothing would change. The firms that knowingly lied to their clients about the stock, Barclays, Citigroup, Credit Suisse, Goldman Sachs, JP Morgan, Deutsche Bank, Merrill Lynch, Morgan Stanley, Wells Fargo and Needham &Co.
Bank of America Merrill Lynch was caught taking advantage of charitable and retirement accounts by knowingly overcharging them in the sale of mutual funds. Funds on the Merrill Lynch platform have fees that should be waived for certain eligible retirement accounts and charities. From 2006 to 2011 Merrill Lynch advisors placed accounts into Class A mutual fund shares and other funds with the promise of waiving upfront or back-end sales charges. That didn’t happen. This is nothing new for Merrill Lynch; they were caught in 2012 for overbilling their investment advisory fees. What is complementary to financial activity mean? Answer: Owning whole entire industries. Today, banks like Morgan Stanley, JPMorgan Chase, and Goldman Sachs own oil tankers, run airports and control huge quantities of coal, natural gas, heating oil, and electric power and precious metals. They can now be found exerting direct control over the supply of a whole galaxy of raw materials crucial to world industry and to society in general, including everything from food products to metals like, zinc copper, tin, nickel and most recently thanks to high-profile scandal aluminum. Big banks aren’t just buying stuff they’re buying whole industrial processes. There’re buying oil that’s still in the ground, the tankers that move it across the sea, the refineries that turn it into fuel, and the pipelines that bring it to your home. Then just for kicks, there’re also betting on the timing and efficiency of these same industrial processes in the financial markets buying and selling oil stocks on the stock exchange, oil futures on the futures market, swaps on the swaps market, etc. Allowing one company to control the supply of crucial physical commodities, and also trade in the financial products that might be related to those markets, is an open invitation to commit mass manipulation. It’s something akin to letting casino owners who take book on NFL games during the week to coach the games on Sunday’s. The scams have already commenced, LIBOR, interest-rate swaps, manipulation of gold and silver, and the manipulation of the delivery of electricity. Goldman Sachs was nailed for purposely delaying the delivery of metals out of a network of warehouses it owned in order to jack up rents and artificially boost prices.Where is James Bond when you need him? This entire enterprise is something worthy of Auric Goldfinger or Ernest Stavro Blofeld. If one of the firms changed their name to SPECTRE, I wouldn’t be surprised. My fellow frogs…tired of being stung yet?